Single-location stories are always attractive to filmmakers working on the independent side, and British director Johnny Kevorkian found a corking good one in AWAIT FURTHER INSTRUCTIONS. The script by feature first-timer Gavin Williams packs in plenty of conflict on both the personal and visceral levels, for Kevorkian to fashion into a tense and frightening film that’s also relevant to our current times. Kevorkian, who explored socially pertinent terror amidst London’s tower blocks in 2008’s THE DISAPPEARED, plumbs similar depths in suburbia for this long-overdue follow-up. AWAIT FURTHER INSTRUCTIONS, a world premiere at the current Cinepocalypse festival, opens with the phrase, “It’s the things you love that kill you,” which seems to foreshadow the dramatic specifics a little too bluntly but eventually comes to have another meaning. Also just a touch on-the-nose, for those listening closely: The family in the film’s crosshairs is named Milgram, after the psychologist who conducted controversial experiments in obedience and pain infliction at Yale University in the ’60s. Kevorkian and Williams bring the idea very much up to date, setting the contextual scene with background TV news reports of our strife-torn world, which informs the reactions of the Milgrams when they’re put under horrifically unnatural pressure. Set on Christmas Eve, for reasons that become increasingly thematically important as the film goes on, AWAIT FURTHER INSTRUCTIONS begins with Nick (Sam Gittins) bringing his Middle Eastern girlfriend Annji (Neerja Naik) to his parents’ place for the holiday. From the start, Nick’s worried about how his relatives will react, and it turns out he’s quite right to be concerned. His mother Beth (Abigail Cruttenden) seems a little startled but accepting, but his father Tony (Grant Masters) clearly resents the fact that Nick hasn’t been home in three years, even as it’s just as clear that he’s a key reason why. Worst of all is Nick’s grandpa Alfred (veteran actor David Bradley), a nasty racist bugger who makes his disapproval of Annji abundantly clear. With Nick’s high-strung sister Kate (Holly Weston) and her boyfriend Scott (Kris Saddler) soon arriving, there’s plenty of tension under this roof even before things turn weird. Williams has a sharp ear for the way people encode their bigoted language (as when Tony keeps referring to Annji as “Angela”), and the performances are uniformly fine. Kevorkian and Williams also have a good feel for the way people retreat into comfortable routines when faced with trying circumstances—and they become especially so here when the Milgrams become the subject of what might be a truly nightmarish experiment. In the middle of the night, they discover they’ve been sealed into their home by corrugated metal walls covering all the doors and windows. They’re completely cut off from the outside world—other than the living-room TV broadcasting a message to STAY INDOORS AND AWAIT FURTHER INSTRUCTIONS in green, old-fashioned computer type. There is, of course, disagreement about whether or not to follow those directions, and that question becomes more crucial as new instructions start appearing on the flat screen, first suggesting some kind of bio-attack, and then bearing more sinister implications. Here, AWAIT FURTHER INSTRUCTIONS heads down the same road as Craig Zobel’s memorably distressing COMPLIANCE, dealing with the ways in which people unquestioningly follow orders when they believe (rightly or wrongly) that those commands are coming from people in authority. The trick here is that it’s just as understandable why some of the Milgrams believe the broadcasts are coming from a reliable source as it as why the others do not. The filmmakers tip their hand in a nicely chilly moment that starts the movie’s slow creep into genuine horror territory, with a final act that very explicitly reveals what’s actually happening, and works because the filmmakers have dropped sufficient clues to it along the way. Here’s where effects designer Dan Martin (who’s done special makeup for several Ben Wheatley films and many other UK productions) contributes strikingly creepy creations. They’re part of a full-blooded craft package also encompassing Annika Summerson’s moody cinematography, Niina Topp’s imaginative production design and a rich score by Richard Wells. 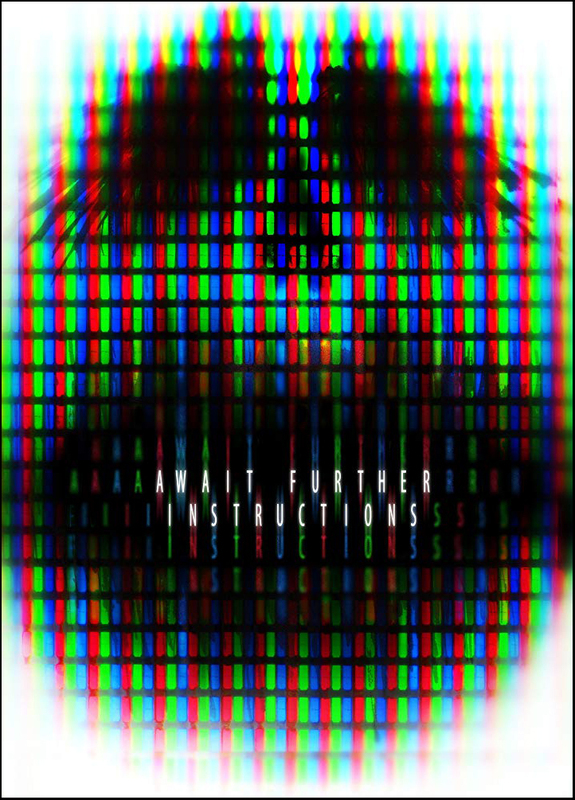 Even as AWAIT FURTHER INSTRUCTIONS goes to some pretty outlandish places, the entire team roots it in a believable reality throughout, with timely ideas woven in; it’s a film where “Stop listening to the TV” has more than one meaning. Don’t bother: terrible. One of Netflix’s missteps again. An ear for the encoded language of bigots ?? What the hell is that. What was odd about this tale was then the grandad, who I had no love for whatsoever, commented on what was portrayed as a terror attack, he blamed no communities, but blamed a chaotic immigration policy. Annji then started saying it was propagating ignorance, as I remember, to allow his opinion to go unchallenged. It was turned to an issue of racism. This isn’t the encoded language of bigots. This, in the pensioners case, was his opinion, as an elderly man, ex soldier with experiences and years behind him to draw comparisons saying something that is fairly obvious. And while he was an awful father if he makes an observation: that terrorist attacks have increased alongside immigration it isn’t because he is a racist. His retarded granddaughter was then tagged into the conversation to make things worse.